I am so into this photograph. 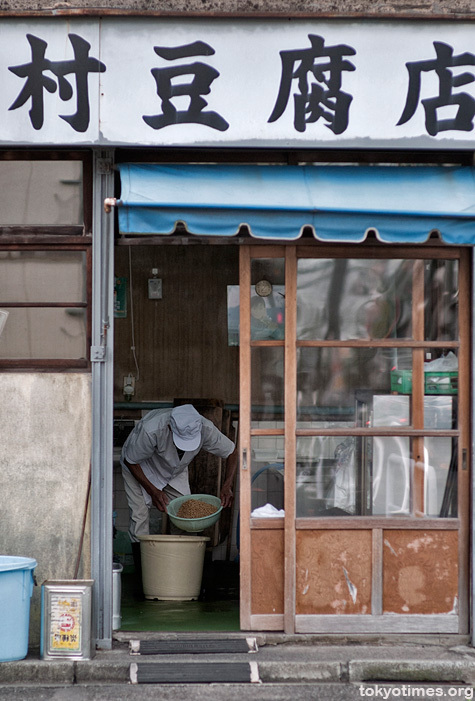 If I were a ghost, I would be similarly unhappy about being stuck in the window of a tofu shop for all eternity. In fact, I bet I'd start making nasty faces at gawking passersby, too. Well, especially because it's tofu.